Jypyä Pop (Turku, Finland) on 29 September 2017 in Animal & Insect and Portfolio. Je ne suis pas du tout à l'aise avec les araignées. @tataray: The slender legs are a pleasure to the eye. I agree. @Marjolein: Okay, okay, no worry. I am glad this cannot come into my house! You have captured the details too well and too close!!!!! Interesting spider with these log legs !! Great capture . 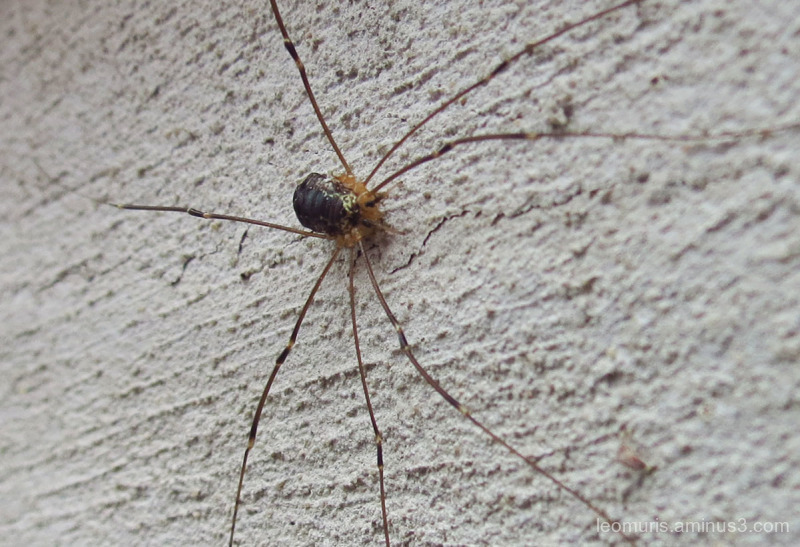 A Daddy Longlegs! I haven't seen these for decades. Cool shot. Or what! I know Daddy Longleg spiders are harmless but they still give me the creeps. Well cute is not a word I would use, but respect to all creatures, great and small.